This book offers a broader, more positive picture of African American fathers. 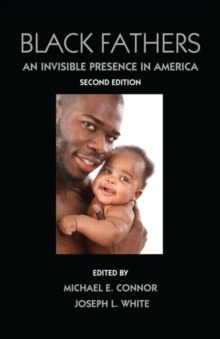 Featuring case studies of African-descended fathers, this edited volume brings to life the achievements and challenges of being a black father in America. Leading scholars and practitioners provide unique insight into this understudied population. Short-sighted social policies which do not encourage father involvement are critically examined and the value of father engagement is promoted. The problems associated with the absence of a father are also explored. The second edition features an increased emphasis on:the historical issues confronting African descended fathersthe impact of health issues on Black fathers and their childrenthe need for therapeutic interventions to aid in the healing of fathers and their childrenthe impact of an Afrikan-centered fathering approach and the need for research which considers systemic problems confronting African American fatherscommunity focused models that provide new ideas for (re)connecting absent fatherslearning tools including reflective questions and a conclusion in each chapter and more theory and research throughout the book. Part I provides a historical overview of African descended fathers including their strengths and shortcomings over the years. Next, contributors share their personal stories including one from a communal father working with underserved youth and two others that highlight the impact of absent fathers. Then, the research on father-daughter relationships is examined including the impact of father absence on daughters and on gender identity. This section concludes with a discussion of serving adolescents in the foster care system. Part II focuses on the importance of a two-parent home, communal fathering, and equalitarian households. Cultural implications and barriers to relationships are also explored. This section concludes with a discussion of the struggles Black men face with role definitions. The book concludes with a discussion of the impact of adoption and health issues on Black fathers and their children, and the need for more effective therapeutic interventions that include a perspective centered in the traditions and cultures of Afrika in learning to become a father. The final chapter offers an intervention model to aid in fatherhood. An ideal supplementary text for courses on fathers and fathering, introduction to the family, parenting, African American families/men, men and masculinity, Black studies, race and ethnic relations, and family issues taught in a variety of departments, the book also appeals to social service providers, policy makers, and clergy who work with community institutions.